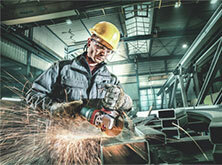 Metabo Club - Subscribe now and stay informed! The Metabo Club is a community of skilled, professional tradespeople that take pride in their craft, with a deep concern for quality, performance, productivity and safety (their own and others). 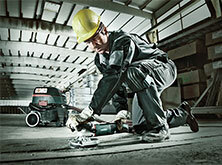 The Metabo Club is a forum to exchange ideas with similar-minded pros to improve their skills and get the job done. It is a place of knowledge sharing, passion and pride. Don't miss on the opportunity to Join the Conversation on Facebook! Learn about Trailer Events, Trade Shows happening right near you! Yes, I have acknowledged that I can revoke my consent for the use of my data for advertising purposes at any time e.g. in writing to Metabowerke GmbH, Metabo-Allee 1, 72622 Nürtingen, by email to info@metabo.de or by clicking on the deregistration link at the end of every advertisement email. Powerful products characterised by innovative strength and engineering ingenuity. Our tools are characterized by convincing technical solutions and offer you many benefits.